In Sidney Lumet’s cult film Network, newscaster Howard Beale galvanises America with his cry of “I’m as mad as hell, and I’m not going to take this anymore!” And soon he has the entire nation standing at their windows and chorusing his chant, “We’re mad as hell and we’re not going to take this anymore!” That iconic scene seems to sum up the mood of India’s middle-class voting public today. Yes, we’re mad as hell and we’re not going to take this anymore from the old breed of self-serving politicians, for whom we’ve developed a deep, deserving contempt. And it’s singularly fortunate for us that at this point in history we’ve had the Aam Aadmi Party (AAP) as a channel to register our outrage. Yet, while one wishes AAP well, there are some questions about its larger abilities. It may have what it takes to throw out the politicians of the past, but does it really have what it takes to create the policies of the future? Amartya Sen has long talked about the need for a new political party that stands for a combination of economic liberalism, secular worldview and good governance (which brings to mind the old Swatantra Party, which was, alas, several years ahead of its times). 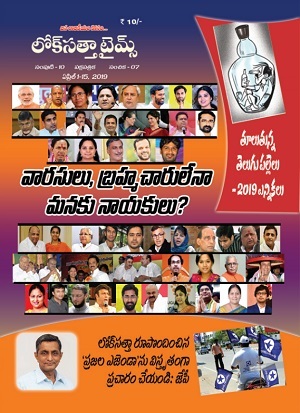 One party that seems to come close to Sen’s prescription is the Lok Satta Party started by Jayaprakash Narayan, a former IAS officer, and now has a growing presence in Andhra Pradesh, Karnataka, Tamil Nadu and Maharashtra. Writing about Lok Satta in India Works at Night, Gurcharan Das said: “In India among the 177 political parties, it is difficult to think of one that stands single-mindedly for good governance, reform and performance. 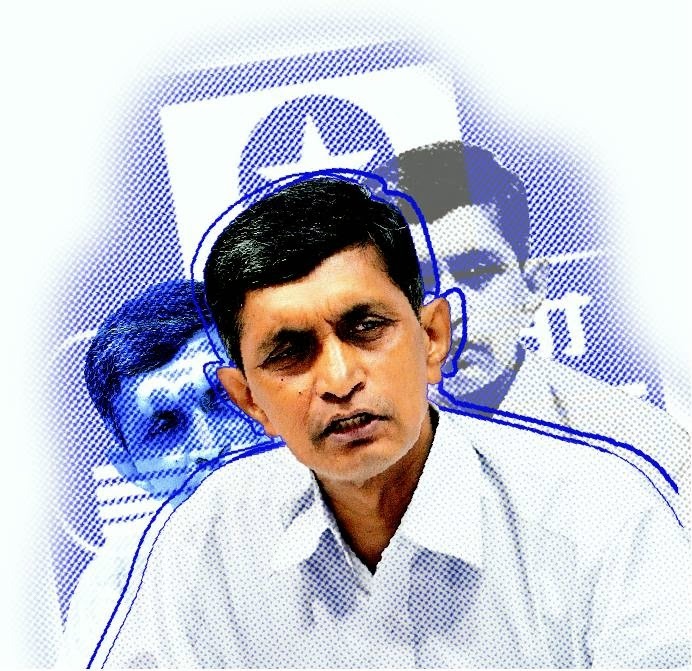 The Lok Satta Party of Dr Jayaprakash Narayan might be one, but it has not met with any real electoral success so far.” That might have been so. But for the forthcoming 2014 elections, Lok Satta seems to be quietly mobilizing to make a greater impact in the southern states. Started originally as a citizen’s movement in 1996, Lok Satta has been actively campaigning for governance and electoral reforms. In 2006 it eventually took on the avatar of a political party, born of the realization that in order to make any real impact, talented people needed to embrace politics and work from inside the system, not merely from the outside. There were many learnings in this, one of which came in the form of a physical assault on Narayan inside the Assembly by an enraged rival party — an assault he was mature enough to describe later as not an attack on himself, but an attack on democracy. While the party’s manifesto for the 2014 elections has not yet been released, its agenda has always stressed on making the citizen the centre of governance, and reforming the government to make it more responsive to the people. Its agenda also stresses on combatting corruption and misgovernance through a rugged institutional framework, empowerment of local governments at all levels, insulating criminal investigation from partisan politics, the speedy and effective delivery of justice, and reforms to make elections truly transparent and democratic. It is significant that Lok Satta is backed by a political think tank — the Foundation for Democratic Reform — which works on formulating reforms in the areas of governance, politics and electoral matters. It’s also significant that Narayan himself had earlier been a secretary to the chief minister of Andhra Pradesh, and subsequently served on national bodies, including the National Advisory Council, the Second Administrative Reforms Commission and the Vigilance Advisory Council. No, these people are no babes in the political woods. One frustration for Lok Satta has been the apathy of the citizenry and the belief that there’s nothing they can do to change the despised system. One of the party’s diktat, therefore, is that “the answer to bad politics is good politics, not no politics”. However, given the jolt of optimism that AAP’s performance has given the nation, this time the electorate will presumably be much more confident of making a difference, and use their votes accordingly. There is still the danger, however, that they might consider the old political parties, despite their accompanying slime, to be a safer bet than an untested young party. But, hopefully, Lok Satta’s experience and role in reforms like the Lokpal Bill and the RTI Act might help to diminish such a hesitation, if not dispel it altogether. 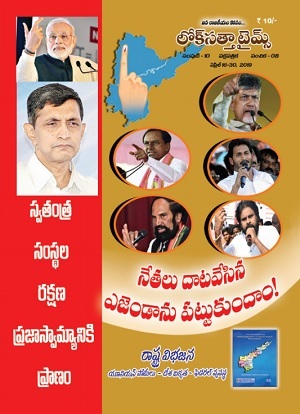 In 2009 the then fledgling Lok Satta fought the elections in Andhra Pradesh, and while it eventually won only one seat — Narayan is an MLA — party insiders claim they would have won a significant vote share, but were unlucky that filmstar Chiranjeevi’s newly launched PRP party thwarted that possibility. The party is now working on an ambitious programme to make an impact in the 2014 elections, at both the Lok Sabha and assembly levels. It is also, crucially, said to be in discussion with AAP to enter an understanding. If all goes well for Lok Satta in the elections, by June we could see another great visionary force — resembling AAP in its idealism — emerge on the Indian political scene. And if that happens, it will be another shove at the rotting edifice of the old political order. We can only wait and hope.